One of the most important issues for Ethereum developers at this moment is addressing the scalability problems. Due to the scalability hurdles, several ICO projects are moving away from the Ethereum platform to other emerging ones. Other decentralized platforms like EOS and Stellar Lumes pose a formidable challenge to Ethereum at this moment. However, the latest report suggests that Ethereum developers are considering a surprise upgrade to boost the network capabilities in short term. Soon after the Devcon4 conference last month in October, developers had four private meetings conducted. Greg Colvin, an engineer of the Ethereum Virtual Machine (EVM) published an internal document on Github. The document gives a highlight into the minutes of the meeting suggesting an upgrade named “ethereum 1x” to arrive by June 2019. One of the anonymous attendees has verified the documents. 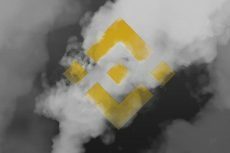 While talking to CoinDesk, the attendee said that developers consider it too early to discuss the new proposals publicly. Afri Schoedon, a release manager of the Parity Ethereum client writes that he was unaware of any such upgrade plan. Although developers usually propose the code changes, public blockchain networks like Ethereum can only implement them after a distributed consensus among all the software users. One of the meetings has attendees like Ethereum co-founder Vitalik Buterin and developers including Lane Rettig, Peter Szilagyi , nd Hudson Jameson. The meeting also had notable personalities like Joseph Lubin, the founder of the largest ethereum startup Brooklyn-based Consensys Systems. 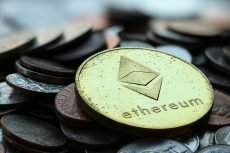 The document suggests that Ethereum developers are currently under pressure to unveil the public roadmap. Thus they are looking for ways to add improvements at an accelerated timeline. The document highlights the defining principle of the project as having a “sense of urgency”. The developers discussed several changes like hard fork or a system-wide upgrade. Some of the possible upgrades include introducing storage fees or “rent” for smart contracts. 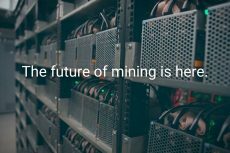 One of the upgrades also talks about replacing Ethereum’s existing virtual machine (EVM) which currently processes the smart contracts code. To better coordinate faster and rapid changes, some developers suggested working more privately during the meeting. However, upholding the core value of transparency high, Buterin has refuted to it. The document quotes him saying that he is “uncomfortable with institutional private calls and absolutely against private forum[s]”. Moreover, Arif Schoedon expressed the disapproval of the meeting that took place on internal chat on Friday. He said that the planning took place without any sort of public involvement. “If you want to have private working groups, that’s [fine] and makes sense but you should be transparent and maybe start with a public announcement,” Schoedon wrote. 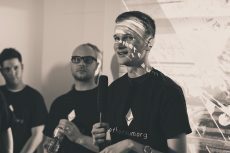 However, it looks like currently there are three working groups planned for the next leg of Ethereum network upgrade. And a group that can observe and monitor the impact of these alterations.